Once a blue-collar industrial port, Malmö, Sweden, now aims to be a premier design destination. It’s on its way. The proverbial ivory tower of urban regeneration, Santiago Calatrava’s Turning Torso stands proud amid the rubble of redevelopment. Jonas Lindvall enjoys the Malmö Konsthall for its dramatic treatment of light—and, of course, its Sunday brunches. Approaching the Øresund Bridge from Copenhagen, one is first soothed by whirling turbines and coruscating sea, only to be stunned by the imposing structure that spans, like a mythic albatross, across the Øresund Strait to link Denmark and Sweden. Now a celebrated superstructure, the bridge design initially met with resistance from both Danes and Swedes who feared it would harm, among other things, an ecosystem heavily reliant on the brackish balance of sea and sound water. To mitigate disruption to the water flow and to Saltholm (Salt Islet), engineers deepened the seabed and used the dredged matter to create an artificial island, aptly named Peberholm (Pepper Islet)—a cheeky moniker that makes the area’s early settlers seem about as imaginative as George Foreman. Now, five years after its completion, not only does the bridge boast the survival and prosperity of preexisting species, but Peberholm is host to a plethora of rare and nonindigenous species—the fruit of seeds long since buried beneath the sea. Malmö, one of the two cities linked by the bridge, is experiencing a transformation similar to that of Peberholm—a renaissance that is as much manufactured as it is organic, and whose output can be gleaned from as far off as Copenhagen. 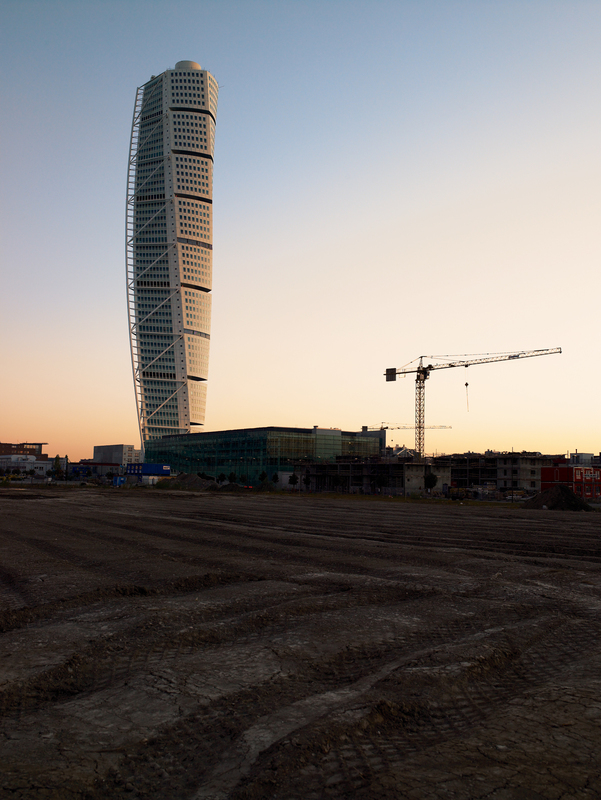 From across the Øresund, Santiago Calatrava’s Turning Torso looks like the sole survivor of a city devastatingly razed. Of course, this is entirely due to the structure’s towering scale, as much a testament to one man’s vision as to a city’s will to power. Over the course of ten years, Malmö has transformed itself from a working-class, industrial city to a veritable uberstadt of the IT, design, and biotech industries. This metamorphosis has been largely engineered, but if nature teaches us anything, it’s that aberrations are what lead to diversity and growth. Today, Malmö is as provincial as it is metropolitan: On cobbled streets lined with bundled hollyhocks, retailers sell the latest in design wares. And with 25 percent of the population born abroad and a flourishing Muslim community, Malmö is among Sweden’s most multiethnic cities (along with Stockholm and Gothenborg). The university, which opened in 1998, has attracted an influx of students, who are helping reinvigorate the once-stagnant region. Architect Jonas Lindvall was born in Malmö and currently runs a small architecture practice there. Having witnessed the change firsthand, he offers an insider’s account of this dramatic transition.